Rain and cold doesn't stop Instagramers from exploring Chicago. We just bundle up, drink more coffee, and keep looking for good shots. October 4 was World Wide Instameet day around the world, and the Chicago Instagramers group held a day-long photowalk that was probably one of the best ones I've attended. We started out at Chicago's Union Station, where we were treated to a preview of Open House Chicago by the Chicago Architecture Foundation. Did you know there's a sealed-off room just off the Great Hall that used to be called the Women's Lounge? I didn't. Our host from the foundation opened up the room for us and let us take photos and post away on Instagram (great way to get the word out about Open House Chicago!). 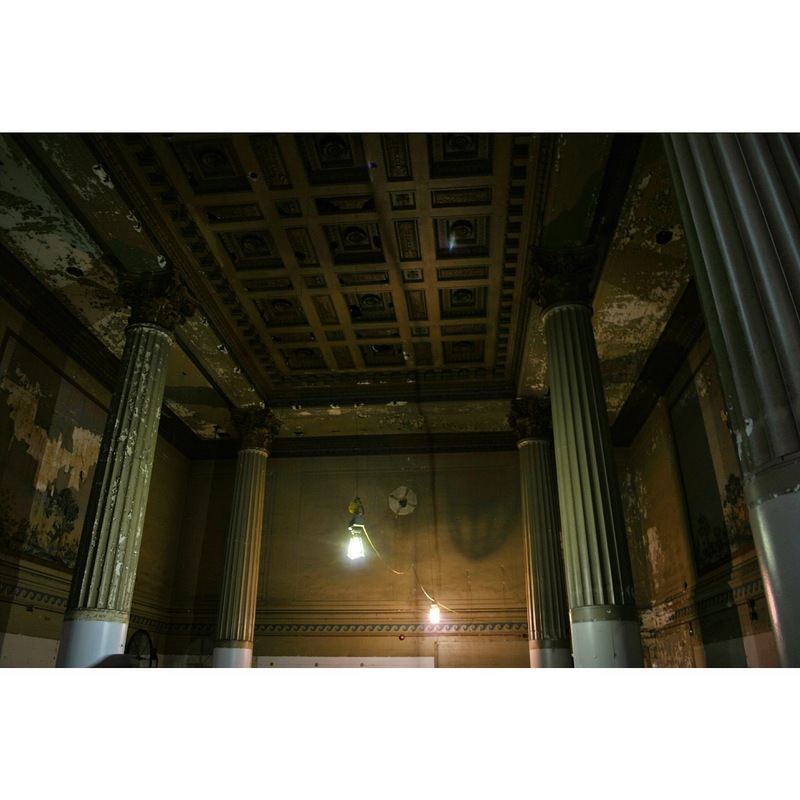 The combination of vaulted ceilings, decay, and shadowy lighting made for some interesting photos. 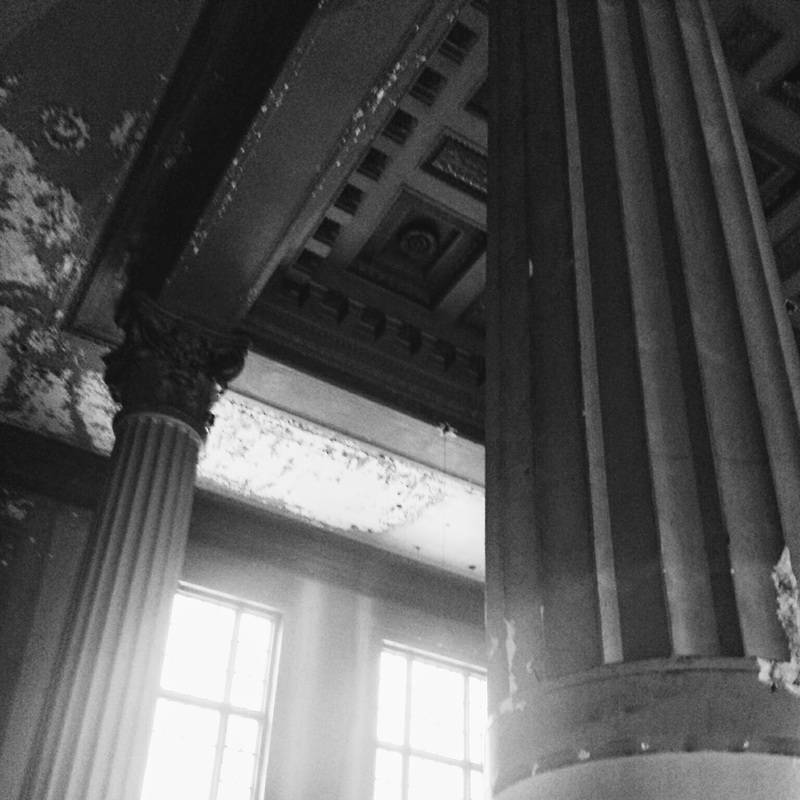 Partial view of the Women's Lounge in Chicago's Union Station. 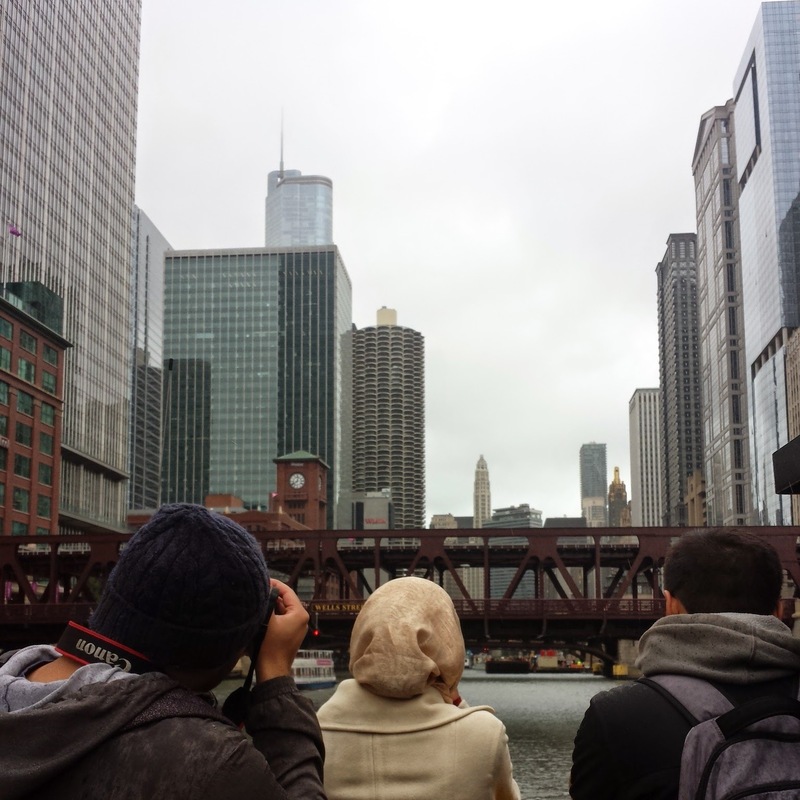 After Union Station, we headed to Chicago Water Taxi and took a ride over to Michigan Avenue in the rain. 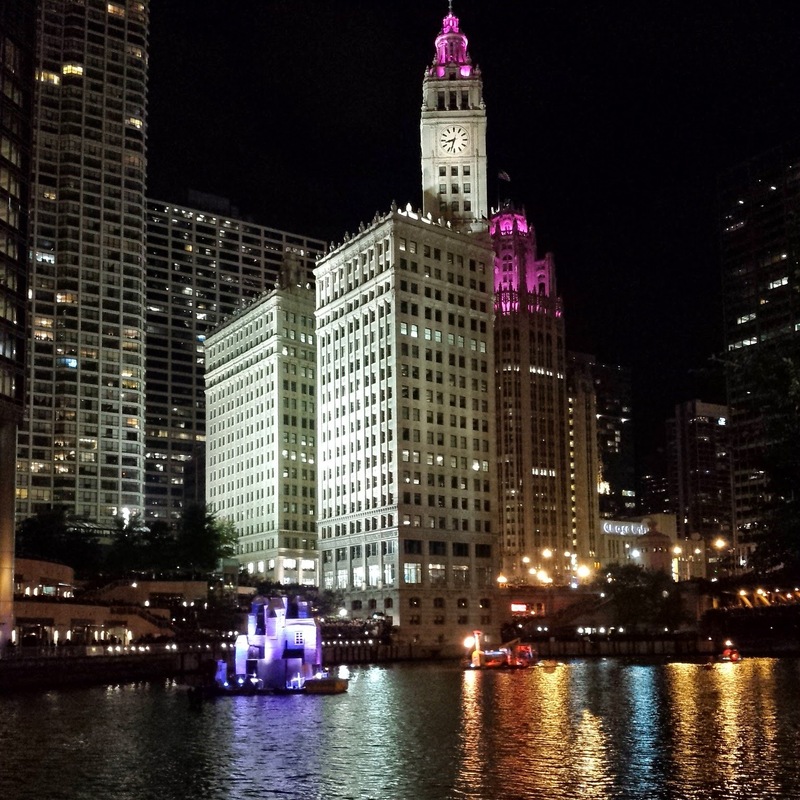 Most of us stood on the top deck of the Water Taxi & in the rain -- you just can't beat the views of Chicago from the river, regardless of the weather. 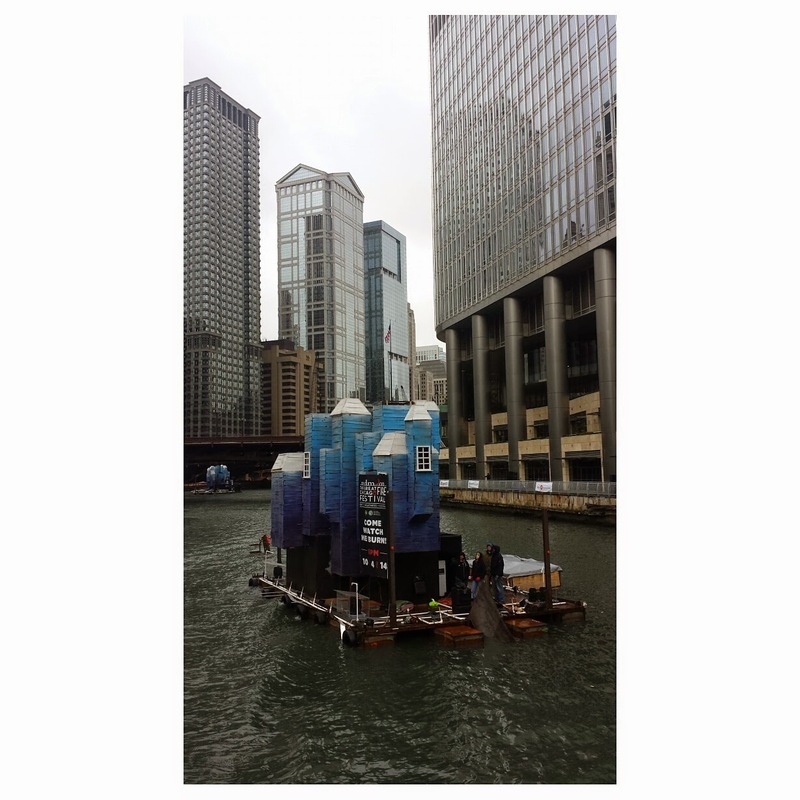 One of the houses they planned to burn for the Chicago Fire Festival later that night. 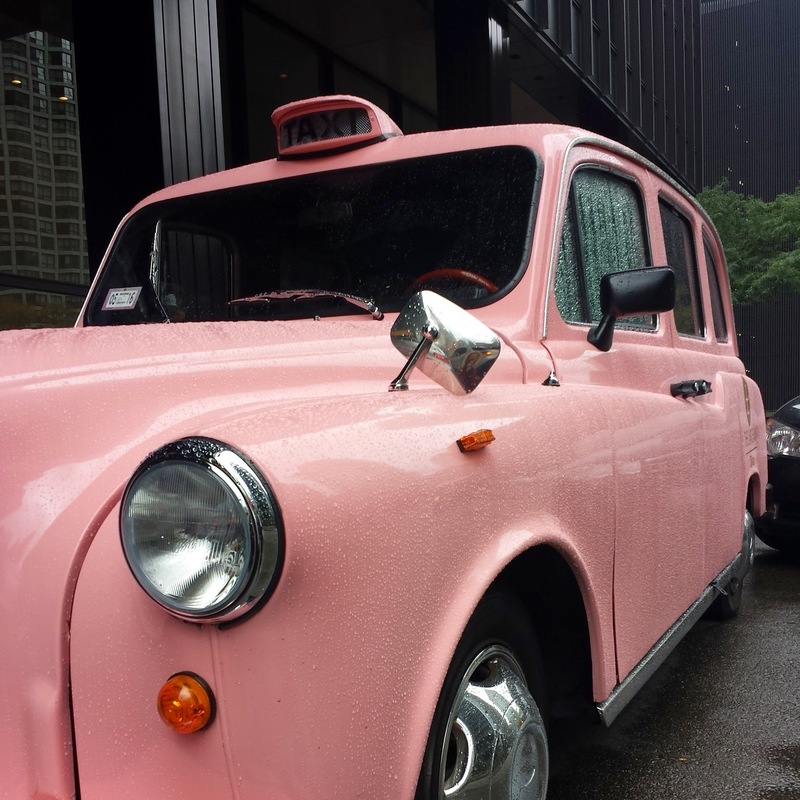 A PINK taxi! I had to stop for this. The rain just set it off. 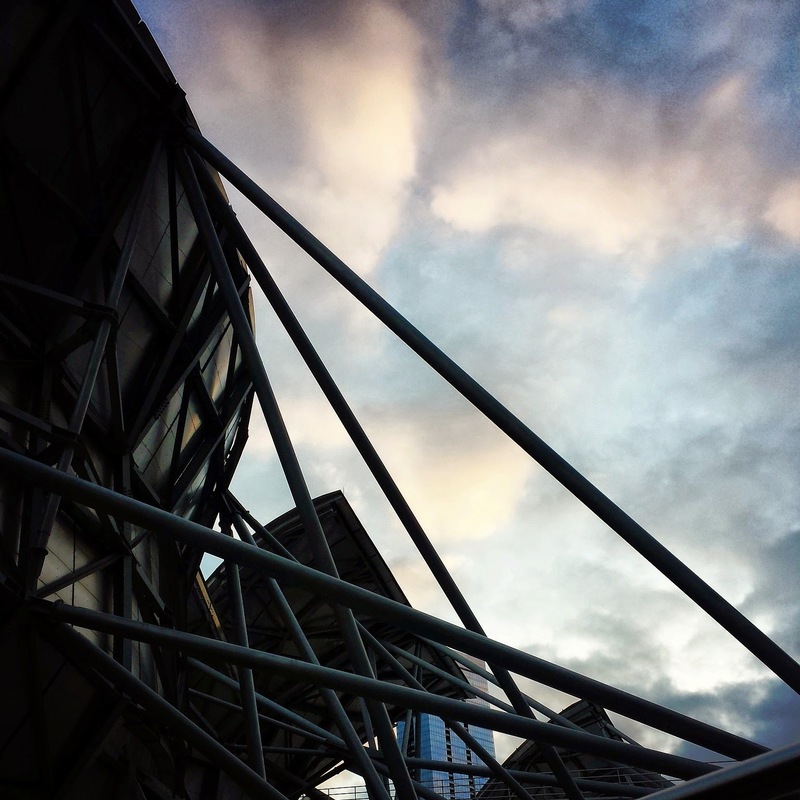 Fading daylight -- taken from the back of the Jay Pritzker Pavilion. Even though I had a 5k bright and early Sunday morning, I decided to stick around for the Chicago Fire Festival that was going on later in the evening. About 30,000 people gathered along the Chicago Riverwalk to see this spectacle, many of us arriving early to stake out a prime spot for viewing and taking photos. It was a long wait, and everyone was disappointed -- probably none more than the artist and engineers who designed the show. The houses set out on the river never really caught on fire, due to technical difficulties. I finally had to leave around 9:30 so I could catch my train back to the suburbs, which meant I missed out on the best part of the evening -- the fireworks! I'll probably go again next year -- I need to work on my night photographing skills and I still had a lot of fun hanging out with some new photography friends. I just won't schedule a 5k run for the morning after!